We would like to welcome Mrs. Marti Brown to the Children’s World Learning Center Team! Marti Brown will serve as CWLC’s Quality Assurance Specialist. She is a graduate of East Carolina University and has worked in early childhood education for more than twenty-five years. 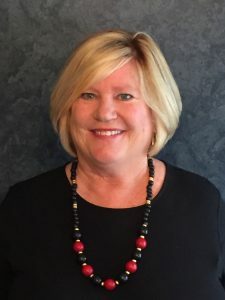 Marti has extensive experience in child care that includes; Child Care Center Director, North Carolina Rated License Assessor, Regional Infant Toddler Specialist, and Child Care Resource/Referral Director. She has worked in several counties across the state of North Carolina providing guidance, technical support, professional development, and training to early childhood professionals/child care providers. Marti has a strong passion for education and working with children and is very excited to be a part of Children’s World Learning Center’s mission to offer high quality care and education to all children.